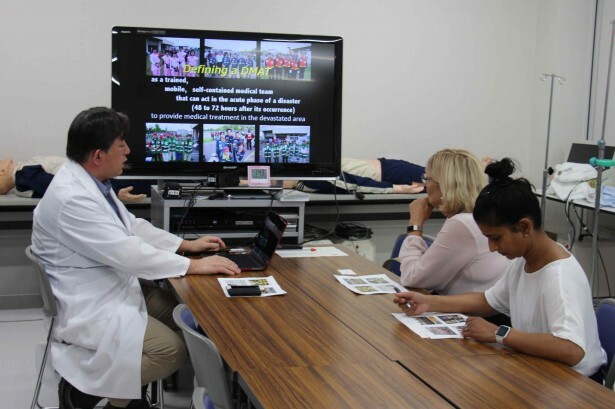 Two U.S. doctors including a HICARE West Coast Liaison participated in training on health care of the radiation-exposed. Hiroshima Peace Memorial Museum, etc. 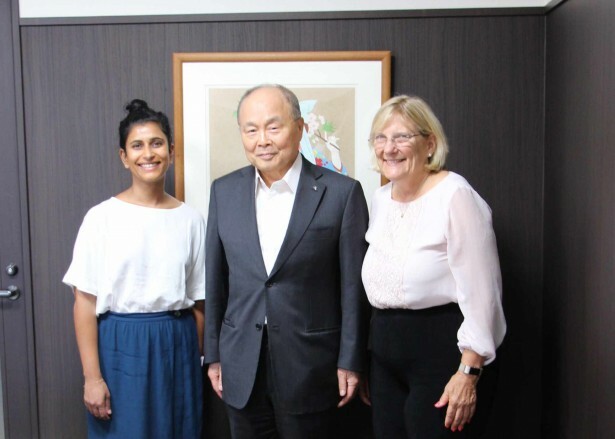 With President of HICARE, Dr. Hiramatsu (center). With Research Division Director Madokoro (center), Atomic Bomb Survivors Relief Department of Hiroshima City. With Dr. Maeda (right), Director of Health Management & Promotion Center, Hiroshima Atomic Bomb Casualty Council. 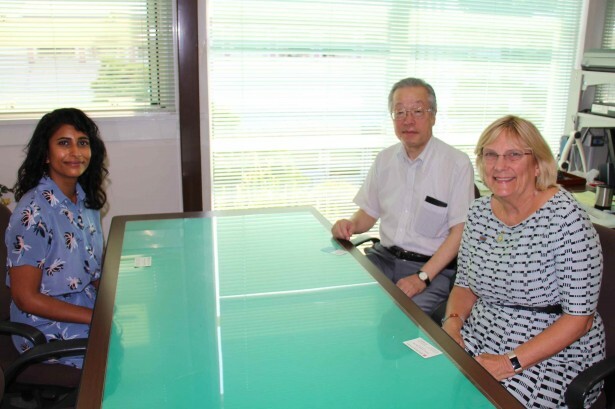 With Dr. Kaseda (center), Vice President of Hiroshima Red Cross Hospital & Atomic-bomb Survivors Hospital. 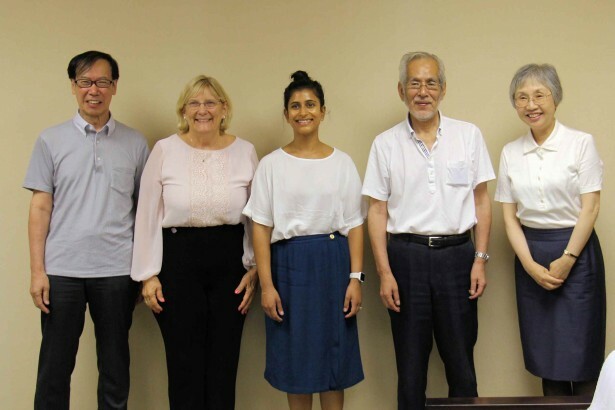 With Mr. Ochi (second to the right), President of Funairi Mutsumi-en, Nursing Home for A-bomb survivors, and Dr. Arita (left). 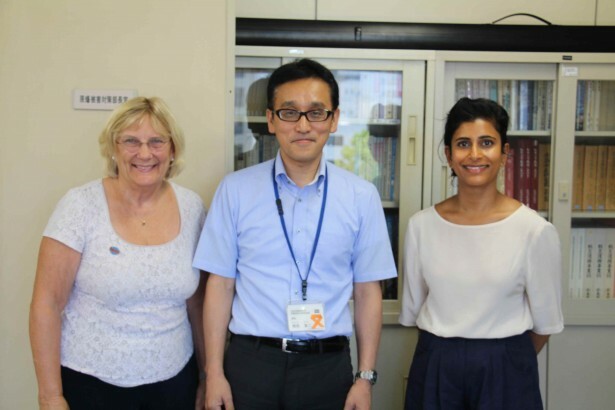 With Professor Hirohashi (left) of Advanced Emergency and Critical Care Center, Hiroshima University Hospital. With Dr. Kodama (right back), Executive Director, Radiation Effects Research Foundation. 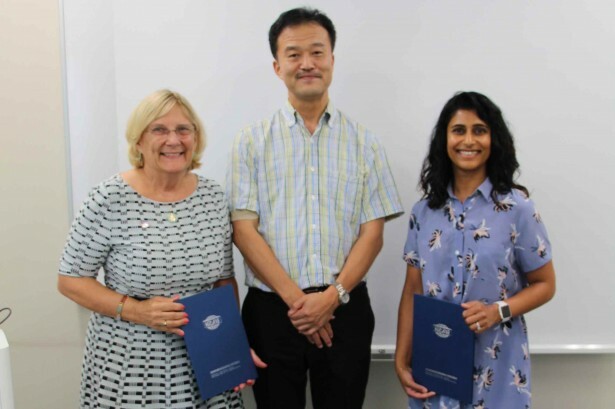 Received the certificate of completion from Professor Tashiro (center), Hiroshima University Research Institute for Radiation Biology and Medicine. - The experience will help me be able to recruit & orient future trainees better. 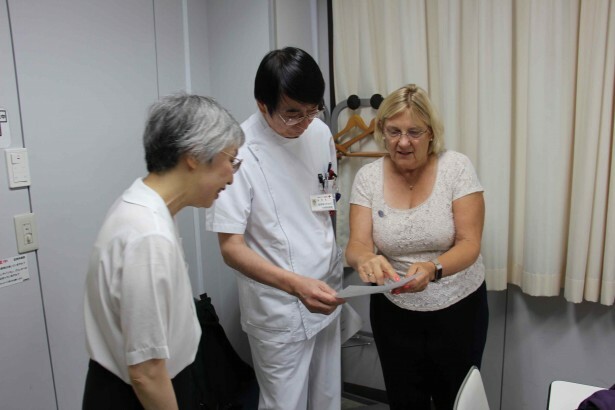 I will also plan to teach other doctors about the A–bomb survivors & learns learned from Fukushima. - I am sorry that other doctors from other countries did not attend the training. I had expected a larger group of doctors. - Nursing home with survivors was extremely enlightening. Interesting to see research facility and hospitals. I work for a Non Profit; would like to pass on: educate the medical staff.